A weekend of excitement is upon us! Every weekend in Chicago is action-packed, but this one is special. With the opening weekend of The American Writers Museum and opening celebration of the Chicago Riverwalk, you&apos;re sure to have a memorable weekend in Chicago. We&apos;ve got even more museum fun with the return of the Robot Revolution at Museum of Science and Industry with life-sized robots you must see. Create your weekend itinerary — here. Showcasing the personal stories and literary works of diverse American writers, from Mark Twain to Dr. Seuss, the interactive, high-tech museum is expected to draw up to 120,000 visitors annually. And considering it&apos;s the first of its kind in the country, who wouldn&apos;t want to go?! Delve into 500 years of American literature and its ties into all things U.S. history with multimedia installations, touch screens, games and rotating programs and exhibits. On temporary display now within the Writer&apos;s Room Gallery, a special exhibition The Beat Journey: Jack Kerouac&apos;s "On The Road" features his original manuscript scroll. Robot Revolution exhibit at MSI is back! 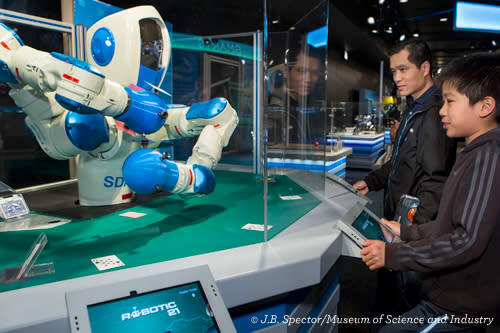 Head to the Museum of Science and Industry this weekend to check out the Robot Revolution exhibit. Explore how robots, created by human ingenuity, will ultimately be our companions and colleagues, changing how we play, live and work together. See new robots RoboThespian, a life-sized humanoid robot that greets guests at the entrance of the exhibit; The Cube Solver, dazzling guests with its lightning-fast ability to solve a Rubik&apos;s cube; Hex, a hexapod robot, with six snakelike legs that navigates rough terrain; and Adept Lynx, a self-navigating industrial robot used in shipping factories. Get the essential list of all the must-see exhibits in Chicago, including Exhibitionism—The Rolling Stones at Navy Pier and the LEGO-tastic Brick by Brick also at MSI. Chicago Craft Beer Week is on! The 8th Annual Chicago Craft Beer Week invites you to explore our city via great beer venues! 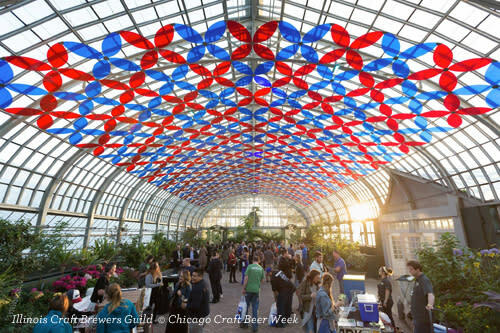 The goal of Chicago Craft Beer Week is as always, to entice patrons to explore the depth and breadth of local craft beer and honor those who enrich our community of beer lovers. Need more? Check out the other Chicago beer festivals and tasting events happening this year. Eifman Ballet of St. Petersburg will be performing Red Giselle, which they haven&apos;t performed in Chicago since 2000, at Auditorium Theatre (50 E Congress Pkwy). The story, which begins in revolutionary Petrograd, follows "the Ballerina" as she is introduced to the world of the Russian revolutionaries and caught between her art and the power of the Communists, who want to use artists as instruments for spreading their red ideology. The Ballerina flees to Paris and reprises her role of Giselle in the famous story ballet while also dealing with unrequited love, mental illness, and ghosts from her past. Boris Eifman&apos;s extraordinary, expressive choreography and inexhaustible imagination paired with opulent sets and costumes bring this tragic tale to life. Mayfest starts off the summer festival season! 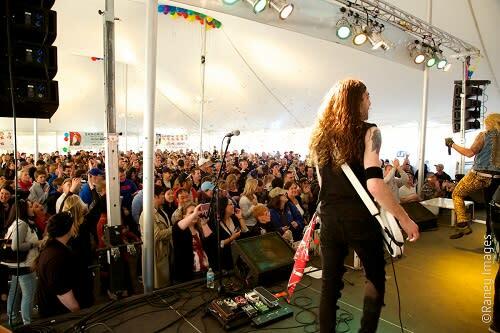 Mayfest is Chicago&apos;s annual kick-off event for the festival season. Join them this year as they celebrate their 22nd year, and they promise to give you a weekend of endless fun. The main stage at Mayfest is set up under a BIG-TOP tent, and features an amazing beer garden offering some of the best (ice cold) beverages. This event is known for showcasing some of the best music, entertainment, and cuisine in all of Chicago. 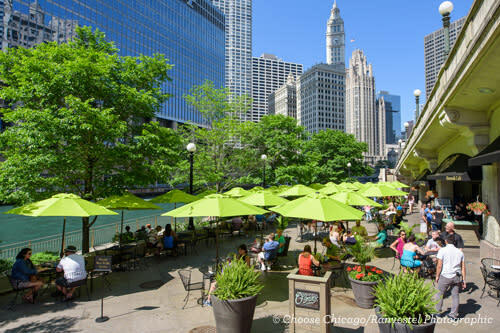 The City of Chicago will kick off summer programming along the Chicago Riverwalk during a day-long celebration. The celebration offers a preview of the summer programming that will be offered along the riverfront through October. Activities include walking tours led by the Chicago Architecture Foundation, parades with puppets and Fishing at the Jetty led by the Chicago Park District-plus the "Dance of the Bridges," a traveling music cruise and a pyrotechnic display. 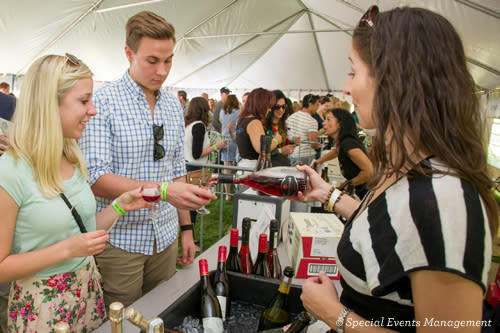 The third annual tasting event in the Lincoln Park neighborhood celebrates the fermented grape. More than 80 varietals available at ticketed tastings. Enjoy food/wine pairings, music and arts/crafts from noon to 5 p.m. at Jonquil Park (1001 W. Wrightwood Avenue). Plan ahead with our Ultimate Guide to Chicago Festivals, which breaks down the biggest events of 2017 by month, or snag the NEW spring/summer Chicago Official Visitors Guide.